I love being Jewish. I love the community, I love our history of endurance and fighting, and I love being around so many great people. It does not matter how often you go to temple or not, because being Jewish is just as much an ethnicity as it is a religion. 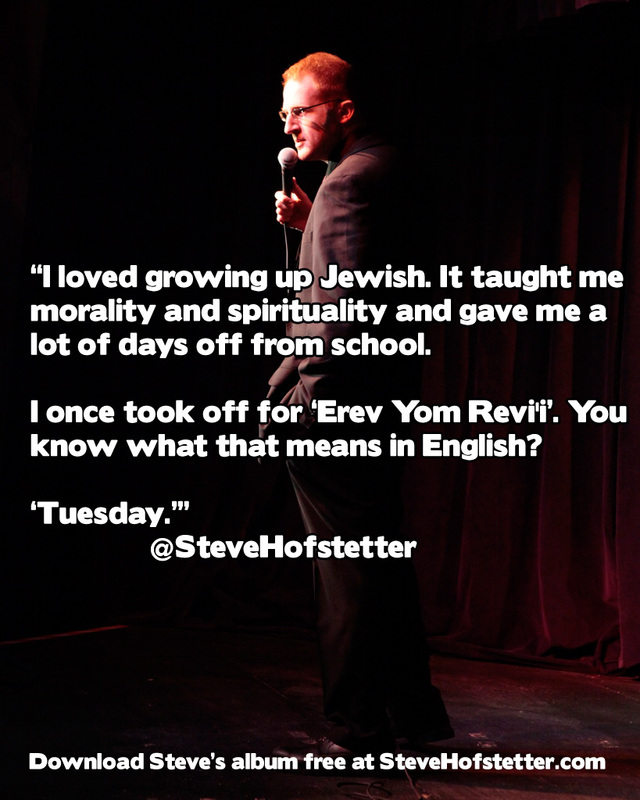 And there were some great things and some not so great things about growing up as a Jew. Here is a look back on quite a few of those memories. Your grandmother played it. Your mother probably played it. And mahjong as of late has been making a resurgence ever since its nadir in the 70s and 80s. The clack of those Chinese tiles, and your mother screeching whenever she beat you or her friends is a memory which has lasted among Jewish families for the past century. There are two reactions that Christians have when it comes to the rules against pork. The first is that they think it is not that important, and offer us a sizzling strip of bacon. The second is that they go in the opposite direction and go out of their way not to offer us any pork. The second reaction is better than the first, but there is a sizable percentage of non-observant Jews who will eat pork. Most non-Jews know that Jews do not eat pork. But I have seen non-Jews assume that this means that Jews are vegetarians – and then offer a plate of oysters as a substitute. You cannot blame them for not knowing that shellfish is also forbidden, but it is frustrating nonetheless. Those holidays were not always a good thing. It was frustrating when that dance, or your softball game, or anything like that fell on Passover. But it did give you an opportunity to get out of school for a while longer, even if it just meant that mom was dragging you to temple. They are not the same holiday, and while Christians can understand it, they often do not. The worst case scenario is when they assume that Hanukah is a holiday created by Jews to celebrate in the winter just like they do, and not that it is thousands of years old. And if the Christmas comparison was not irritating enough, you had to deal with the reality that everything is closed on Christmas Day. Except Chinese restaurants. And so just like that family in “A Christmas Story”, Christmas meant trundling off and sitting down for a Chinese meal with other Jewish families. It is a stereotype, but it is a good one. This was a difficult one to react to- on one hand, it was clear that your friends were sincerely trying to be nice to you. But on the other hand, all too often that desire is rooted in Jewish stereotypes, such as the successful lawyer or the businessmen dealing in insurance claims. All you can do is smile, nod, and thank them in response. If you are away, you have to call your mother regularly. It does not matter if you are on a date, busy, or anywhere else. You had better call your mom, or she will attack you with the most fearsome and deadly weapon in her entire arsenal. Sometimes, people will remember that it is called Hebrew. Sometimes. But a lot of the time, you are expected to sound like someone from “Fiddler on the Roof”, making bizarre noises. Of course, if you do know Hebrew, you can use it to insult your enemies behind their backs. Because you probably did that too. Yes, they may nag you endlessly about being a doctor or a lawyer. Yes, they may have been overprotective when raising you. But above all else, they do truly care for you. Even if that means that when you call them, you will have to endure 20 minutes of them asking about why you are not a doctor or a lawyer yet. Being Jewish means being part of a terrific community, with a very different learning experience compared to most other children. And while there can be plenty of strange experiences, never mind teasing and good old anti-Semitism, there is also so much else to being part of the tribe as well. So remember the good and bad memories, and use them to help build a better future for the Jewish generations to come.